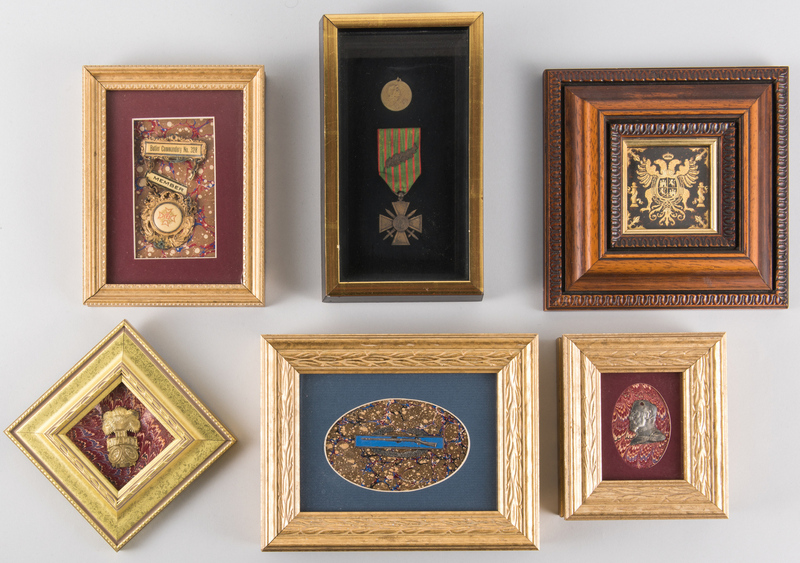 Framed Badges and Framed Medals, 6 items total. 1st item: World War I French Military Croix de Guerre (War Cross) medal with the embossed words "Republique Francaise" (French Republic) encircling the portrait of a young woman wearing a Phrygian cap, on a red and green grosgrain ribbon, with bronze palm leaf. Together with a Battle of the Verdun Fort 1916 cast bronze medal, designed by Vernier (no ribbon), embossed words "On Ne Passe Pas" (you will not pass) and "Vernier" above the profile of a young woman wearing a Phrygian cap and holding a sword. Both mounted to a contemporary wooden frame. 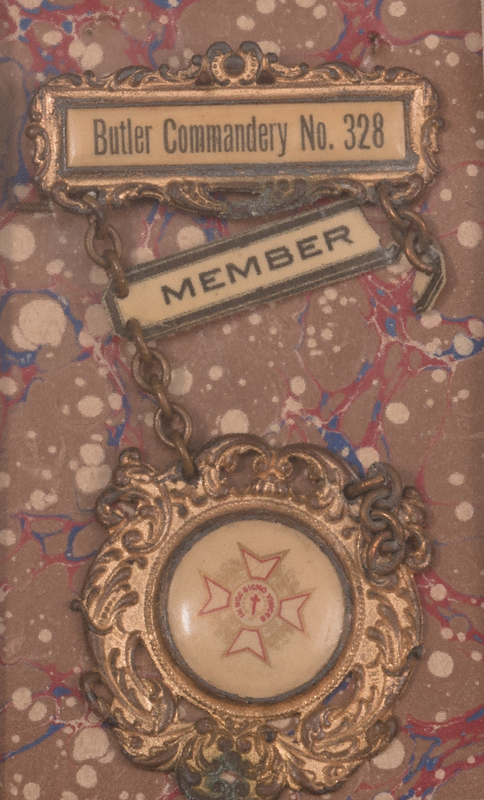 War Cross – 3 3/4" H x 1 1/2" W. Verdun medal – 7/8" dia. Framed – 9 3/8" H x 5 3/8" W. 2nd item: United States Military Combat Infantryman blue enamel and sterling silver badge. 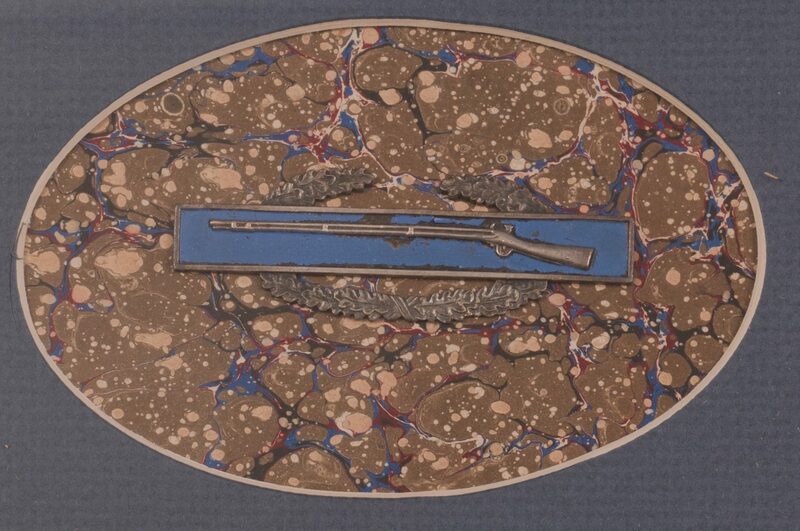 Depicts a rifle on a blue ground encircled by a laurel wreath. Mounted to a contemporary wooden frame. 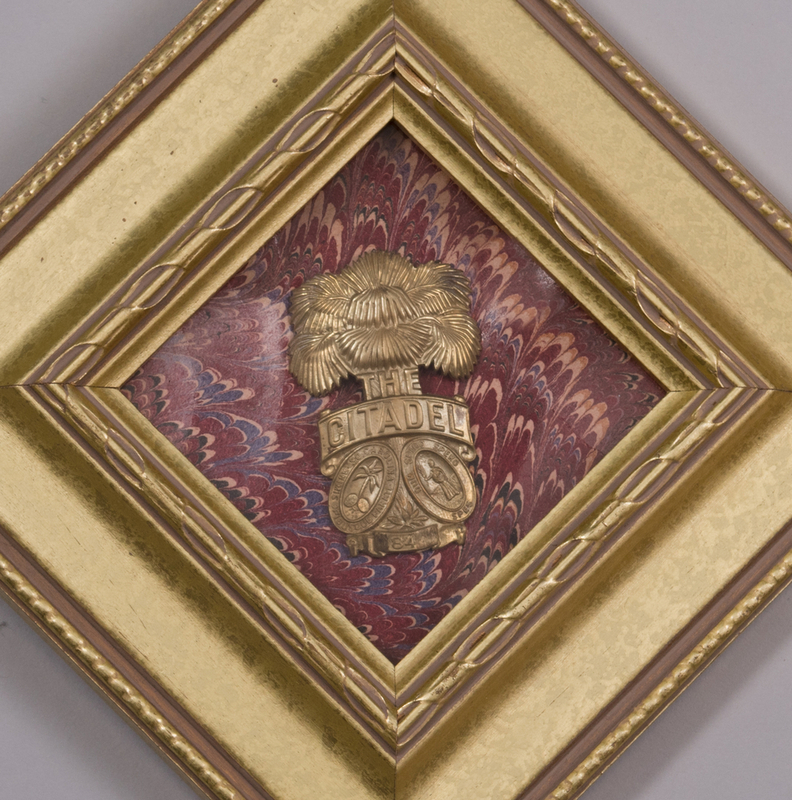 Badge – 1" H x 3" W. Framed – 7 1/4" H x 9 1/4" W. 3rd item: The Citadel, Military College of South Carolina, cast metal visor hat badge. Embossed with South Carolina state motto, symbols, and "84", surface of badge. 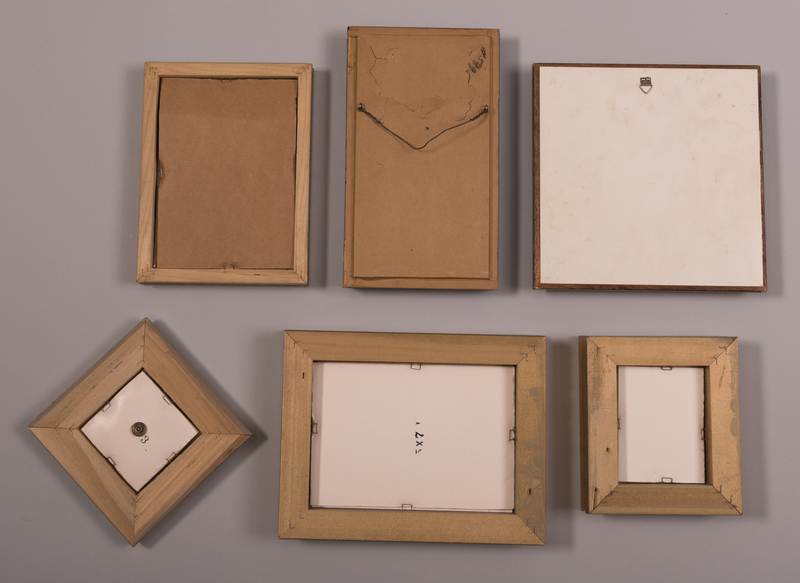 Mounted to a contemporary wooden frame. Medal – 2 1/8" H x 1 3/8" W. Framed – 5 3/4" H x 5 3/4" W. 4th item: Knights Templar cast metal and enamel member badge. Stamped "Butler Commandery No. 328" on white enamel ground, top hanger, "Member" on white enamel ground, middle hanger, with Knight Templar motto "In Hoc Signo Vinces" (in this [sign] you will conquer) on white enamel ground, lower hanger. Mounted in a contemporary wooden frame. 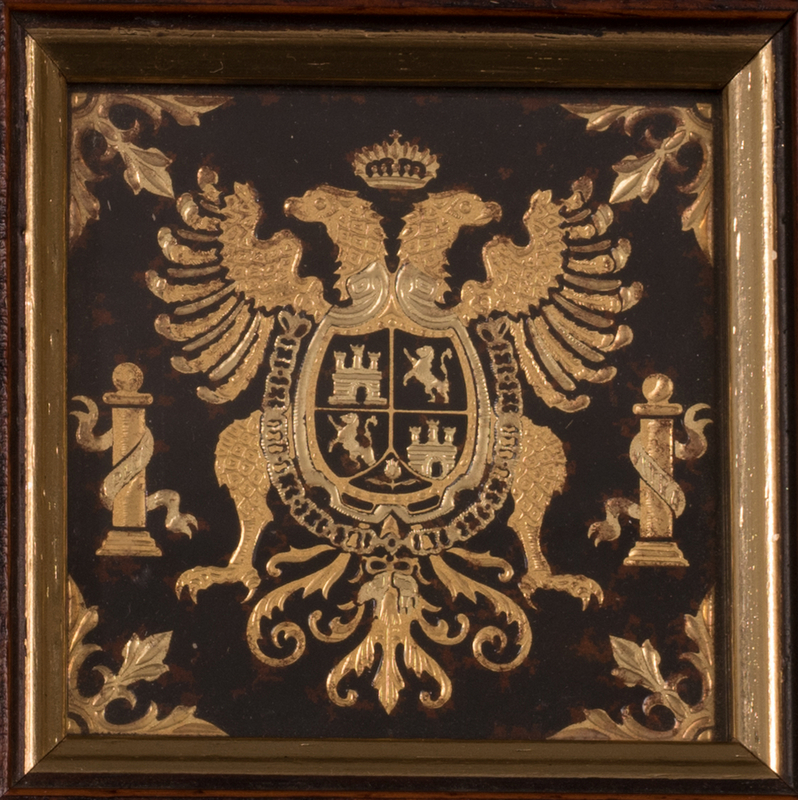 Badge – 4" H x 2 1/4" W. Framed – 8 1/2" H x 6 1/4" W. Also included is a framed badge depicting the profile of an elderly man and a framed gilt plaque depicting a coat of arms. All items 20th century. Provenance: Private Knoxville, TN collection. 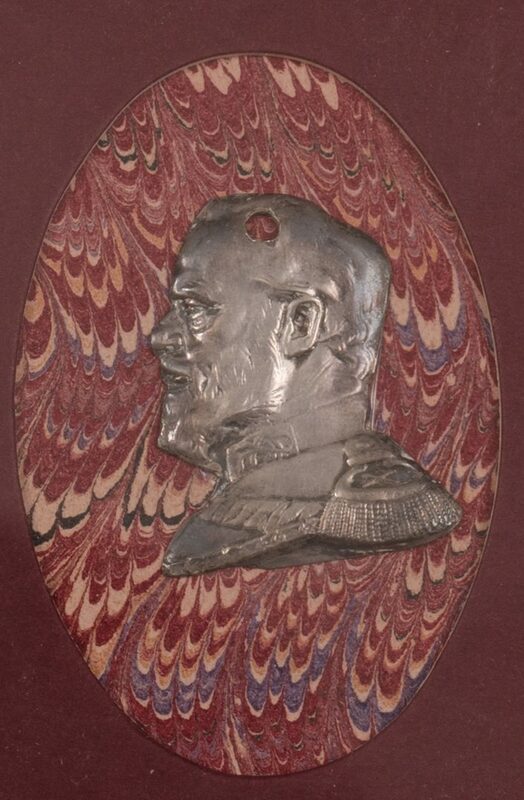 CONDITION: 1st item: Tarnish, surface of War Cross. Minute light brown stains, surface of grosgrain ribbon. Not examined outside of frame. 2nd item: Areas of flaking, blue enamel ground. Not examined outside of frame. 3rd item: Overall good condition. Not examined outside of frame. 4th item: Tarnish, surface of badge. Right chain broken. Not examined outside of frame.